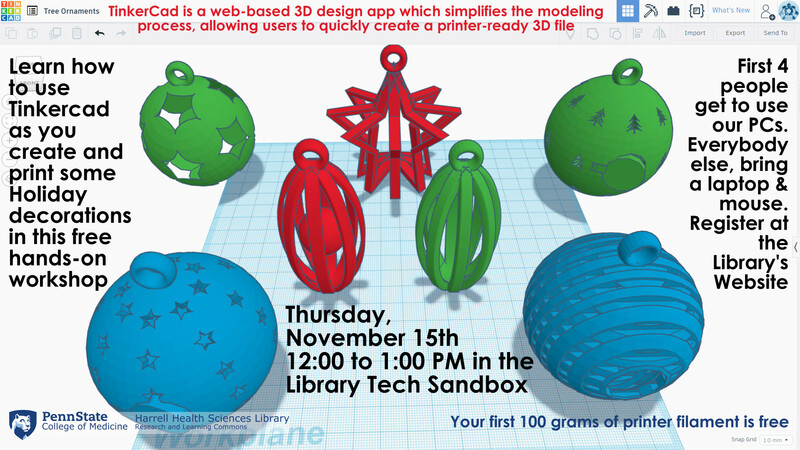 Join Seamus Carmichael to learn how to use Tinkercad as you create and print some Holiday decorations in this free hands-on workshop. How to use the program Tinkercad to create 3D patterns that can be adapted to create attractive holiday ornaments. Learn to duplicate patterns on the object to create a pleasing design. Participants will have a completed file ready to print by the end of the class!